Last night my family did something we don’t usually do. We sat down after dinner and watched a TV program together. America’s Funniest Home Videos was on and we do love to laugh. You know the show – someone falls off a roof, gets hit by a ball, or has a skiing accident. Of course, my 9 year old asked a valid question last night. He wanted to know, “Why do we laugh at people getting hurt?” Good point, son, and one that should be addressed sometime. But what really caught my attention were the videos that showed children getting their Christmas presents. One was of a boy who got clothes for a present and stomped up to his room in anger. Another one was of a teenage girl who thought she didn’t get the phone she wanted and her pouty reaction. Parents gave one girl a fish tank for Christmas. Apparently, the fish didn’t live and the girl reacted by shouting, “This is the worse Christmas ever!” The videos are meant to be funny but my thoughts were that these children are unthankful, selfish, and rude to their parents. If we are not careful we will play right into the natural inclination of children’s selfishness, especially at Christmas. While I desire to give my children good things, at the same time I do not want them becoming self centered in the process. One way we try to do this is by steering them away from creating a “Christmas wish list” and instead we have them create a list of what they would like to give to others. My parents have been good at teaching their grandchildren that “it is more blessed to give than receive.” Each year at Thanksgiving they give the children a gift of money for them to give away. The children will take the money and buy presents to give away to someone in need or they will buy gifts for people in a nursing home. This helps to create in their heart an attitude of giving. This attitude should be taught all year long. However, we should be ever diligent in teaching it during Christmas. For the Christian, gift giving represents the greatest gift ever given – God giving the world His only begotten Son. 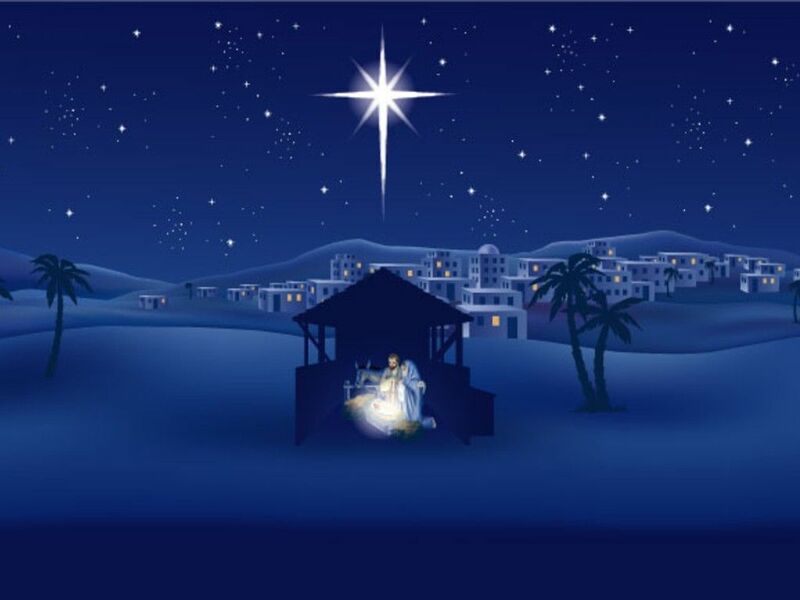 It is so easy to get caught up in the holiday bustle and forget the real reason for the season. I remember talking to a young mother last year. She stated that she was sick of Christmas. All her children did was whine and complain about what they wanted that year. And this was two weeks before Christmas! I walked away from the conversation very sad. This was a young girl in our church who professed Christ. Philippians 2:4 tells us, “Look not every man on his own things, but every man also on the things of others.” Christ gave His life for others and we are to follow in His example. The reality is that we will never teach our children to give unless they see this portrayed in our own lives. Like the saying goes, more is caught by children than taught. If we are selfish and self centered during Christmas, our children will be as well. But, if we live our lives in love as we are told in Romans 12:10, and “in honour preferring one another” our children will learn to do this as well. Look around and pray as a family about opportunities to give this year. Many people let their children pick a child from the Angel Tree or they will do Operation Shoe Box. These are fun ways for the children to give. On two different occasions we found out the ages of children in our local Baptist Children’s Home and bought them gifts. You can also look for opportunities within your church. Perhaps you could adopt a Missionary family and send them gifts. Often times there are people in your own congregation who have no family and who would love to spend the holidays with your family. Giving doesn’t always involve spending money. Sometimes a homemade gift, card, or just your time mean more to people than anything else. Consider the elderly this year. There are many lonely and depressed people during the holidays that could use some love and encouragement. What a great way to share the love of Christ. We can buy our children toys that will be broke in a few weeks. We can get them the latest fashions that will soon be outdated. Or we can buy them gadgets and electronics, but in a few months there will be newer and better versions out there. I’m not against giving gifts to my children (in fact, we already have them all bought), but why not give them something that will last. Give them an opportunity to develop an attitude of giving, thankfulness, selflessness, and love for others. How can I thank you for blessing me? For sending a Saviour from above? Thank you God for having a plan, A sacrifice, a cross, a grave. Thank you Lord for redeeming man, Without Christ who can be saved? But because He rose victorious, abundant life I now will live. 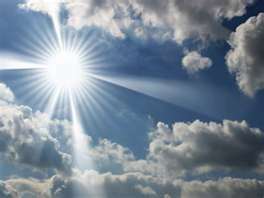 Grace and love abounds glorious, which daily Lord you freely give. For You my God are very near, not just during Thanksgiving feast. Instead I’ll live a life of thanks-living, all year acknowledging how you bless. And just one day set aside, for complaints and unthankfulness. Christmas is certainly my favorite time of the year. The birth of Christ is on the forefront of people’s thoughts. Family gatherings often become priority. Mankind is more giving. The air is filled with excitement and laughter. Songs are sung that exalt our Most High God and speak of His gift to the world. And people’s hearts are warmed by a spirit of love, joy, and peace. Then you have the warm fires, hot chocolate, decorations, lights, falling snow, extraordinary food, friends, family, parties and celebrations. We are still two months away from Christmas and I do not like celebrating too early. In fact, I have a “No Christmas music until after Thanksgiving!” rule in my home. However, the children and I watched Thomas Kindake’s Christmas Lodge this week. It was cold out so we lit a fire, popped some popcorn, and cuddled up in the living room together. We all enjoyed the movie and definitely were put in the Christmas mood. I was impressed with all the references to Jesus and faith in Him. The importance of family was certainly emphasized. And overall it was just a warm, feel-good movie. 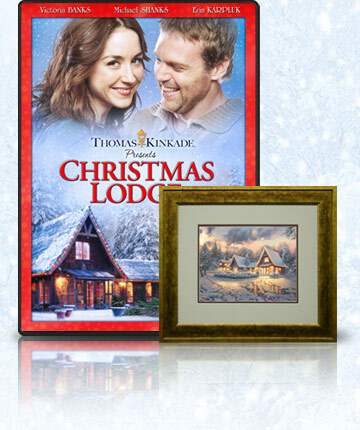 Synopsis from the website: Thomas Kinkade presents Christmas Lodge…a place where a heart-warming past and loving future meet for one remarkable group of people. During a weekend trip to the mountains, Mary (Erin Karpluk) finds herself at the now run-down lodge where she spent the holidays with her family growing up. She becomes determined to restore the building to its former glory. Inspired by her grandfather and guided by her grandmother in heaven, Mary throws herself into the project, and during the process finds herself drawn to Jack (Michael Shanks), a handsome man who loves the lodge as much as she does. Historically unlucky in love, this chance encounter allows Mary to renew her faith in life and discover her one true love. For an uplifting story about the importance of faith, family and the true holiday spirit, go to the Christmas Lodge. If you are looking for a great Christmas film to watch with the family, check out the trailer here. I have one copy of the Christmas Lodge DVD to give away. Just leave comment telling me your favorite holiday tradition and I’ll draw a name on November 7th and have it sent to you. Disclaimer: I received Christmas Lodge to review in exchange for an honest product review. I do not receive any other form of compensation for the reviews posted on this blog.